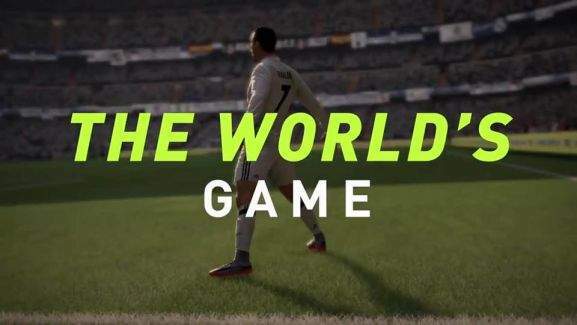 Taking control of Cristiano Ronaldo as he smashes in 30-yard screamers, picking Pele and defeating all-comers in FIFA Ultimate Team, or helping Alex Hunter realise his football dreams in the Journey -- all of these footballing adventures are possible in FIFA 18. 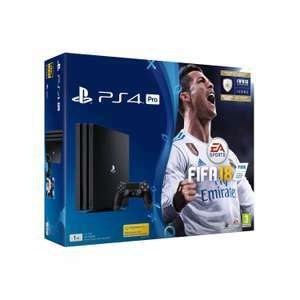 Anyone who wants to experience the most sophisticated football gaming experience yet can join the fun by visiting the HotUKDeals FIFA 18 listings. Yes you can, it's been a while but IIRC you do a search using the website (on a desktop) then you can setup notifications from saved searches. Wow great deal! Is there any way to set up an alert for when it’s back? Thanks OP! I got this. Doesn’t fifa get crap reviews across the board for the switch version? Much difference between this and 2019? That smug face on the cover puts me off buying this. So there is no english language option then? This is still in stock and a pretty good deal even though the £15 code has expired, new accounts can get £10 voucher by registering on AO or better still do what he said^^^^ It is on the AO Ebay shop too, if anybody has vouchers to use there. Given hot - been looking for a decent priced one for some time and this is it. CEX offer to buy Fifa for £14 so with a code for £20 that you can find from a quick Google this goes down to £259, then to £245 after CEX buy it at a minimum. Plus that starter kit? Great deal. Thanks man. As both Asda owlcotes Leeds. £5 each. Probably nationwide. Sorry won't let change photo. But mass effect was a fiver too. I saw this in my local Asda yesterday but the FIFA 18 was for Xbox 360 and PS3. Both were Legacy edition. For PS4, they had Hidden Agenda, Singstar Celebration and Knowledge is Power for £5 each. Not being pedantic, just funny! Great deal. Heat added. I’m going to bring my milk and butter in here. It’s getting very cold. FIFA18 on PS4 at Tesco Crossways in Caerphilly. £5 seemed a good price considering it’s £15.50 amazon online. Not sure if it’s nationwide. As soon as the latest FIFA (or any yearly released sports game) gets released, the previous one becomes almost worthless. Still probably the cheapest I've seen it though. Or they think £5 is cheap? I'm guessing those voting hot think this is the latest? Just to add to what people previously stated as reasons they wont go down - some people impulse buy after browsing (and CeX has a colorful layout to attract people to browse); Others dont bother researching because they dont care for the 3-4 quid they would save. Vouchers play a massive role for CeX. Many items when traded in give you exactly what you would get from eBay after fees (in voucher ofcourse). If you fancy something there, its worth saving the hassle for yourself. Because they have a physical shop and are a monopoly, they are able to charge more and get away with 3rd party fees ebay sellers might have. As others have said, it’s a pawn shop and a franchise one at that. There are others like ‘cash converters’ and ‘cash generators’ but they don’t have the masses of stock that people would want to offset their tech stuff against. I only use them to make money, I’ve never handed them my cash. 99% of people use them but are handing over money. They are helping me and I am helping them. It’s a Delboy Dream. I’ve got Fifa 18 for sale PS4....how much would cex give me? 50p? I bought FIFA 2018 in CEX for £6 before Christmas. Not new to be fair. One of the problems with the Fifa franchise is that once the 'latest' one is released it virtually makes the previous years redundant and worthless, so not a deal I'm afraid. If paying a tenner probably better to get the digital version of the latest Fifa 19 for an extra £9(ish) as posted on here. Never miss a 'FIFA 18' deal again! Its s £3.50 or £6 in CEX and that took me 20 seconds to find. Each unit has a life span, I think around 7-8 years before they bring out a new console. Xbox one has been available since November 2013. Like computers, development in technology and graphic enhancement are made, to support a more realistic (not alway better) gaming experience. Rumours are that both ps5 and next Xbox are not a million miles away. Some magazines quote 2020 for the new Xbox, though could be later. So close, £389 is my biting point, I'll wait even though for another 99p I could get this and get playing, but no I'm not paying another 99p. Yeah, there was an offer for American express card holders (well, some of them), spend £400 and get £100 back. Mines been paid already, nice deal, only beaten by the currys glitch on BF 2017. What's the deal with amex here? Do Microsoft offer cashback of something? ps4 has better games? Since when? I have a PS4 btw and apart from playing those third person single player games every so often (and completing them within a few days) the xbox gets played a lot more. If you have a 4K TV the X is absolutely stunning. I don't know how they do it, even the enhanced 360 games look like they came out this year, it is quite amazing what they've done. Anyone know how long this is available? EA won't change. Why would they? Changing implies that they care on some level. All they care about is the fans that buy packs on ultimate team. It's an absolute joke how inept career mode has become through their neglect. I've stopped playing FIFA now. Not just because of time constraints but because in general they just do not care about the parts of the game that I care. I refuse to give this embarrassment of a company any further money of mine. Given heat for this deal as not everyone feels how I feel about EA. CEX selling for £5 if anyone wants to get it. Same here, never have and never will buy digital. I have games spanning back to the early to mid eighties. Can’t beat a physical collection. I'm also awaiting a £5 price point before I'll bite. Don't have EA access, no need or want for it, prefer the physical game that has (in general beyond FIFA games) resale value over a digital copy on something like EA access the game might not be there in 12 months time or digital services as at least I know it will still be there to play in 10,20 years time. Will play it just to continue 'The Journey'. Then switch to FIFA19 when the Black Friday sales arrive. So as FIFA 19 and its much better. It was never going to be in the vault before the World Cup, and to think it would be is ridiculous, especially with the free WC update. That said, it's appalling that it's been held back for so long after the World Cup. It's not owed to vault subscribers, but it's a kick in the teeth to them. It's nice, but it's months out of date. This should have been in the Vault in May, June at the latest, not waiting til September. Looks a very good price for a new game to me. I've asked myself the very same question. Got the UK one for 9.99£ but this one is still hot! Because its already been posted and having russia in the title doesnt help. Because Fifa 19 is literally right around the corner and the price drop of Fifa 18 has already begun. You can already get the disc version of Fifa 18 for £10 in many shops, and lower than £5 at CEX. Whys this being voted cold? It's a great price for digital! includes 2018 World Cup update. The console Fifa 18's are already down to sub £5 so it's just a matter of waiting until PC follows suit. I wouldn't recommend anybody to buy this at nearly £20 when it's going to be less than a fiver in a few weeks. Hot from me. Usually cold voters on PC Fifa deals will be console users. next cheapest i could find was £19.99 on CDkeys. 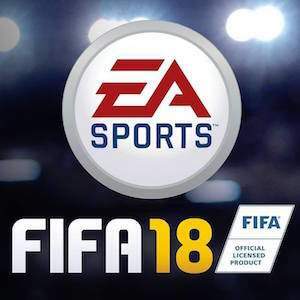 The only video game series licensed by football's world governing federation, FIFA 18 is a football game developed by Electronic Arts, and available for the PS4, Xbox One, PC, Nintendo Switch, PS3, and Xbox 360. With realistic graphics, numerous play modes and multiplayer action galore, it's a must-have title for anyone with a passion for the beautiful game. FIFA first leant its brand to the video game company EA Sports way back in 1993, when an isometric football game appeared for the Sega Megadrive (or Genesis in the USA). Superior to almost any other football game of the time, it established the franchise's reputation for quality, graphics and detail -- while sporting the FIFA logo didn't hurt. Before long, FIFA was available for SNES, Amiga, PC, and many other formats. In 1996, the third instalment in the FIFA franchise introduced something amazing (at that time) with its 3D engine. Using the processing power of the Sega Saturn, the PlayStation, and the PC, the developers created a completely new way to take control of footballers -- even if the engine was pretty rough and ready at first. By 1998 (and the World Cup tie-in), everything was running more smoothly. Since then, the FIFA story has been one of technological improvement every step of the way. In 2000, “legends” of the game were introduced, before 2001's version introduced something truly revolutionary; the PC edition featured an online play option, allowing internet users to get together to display their prowess. After that, changes came only every now and then. In 2010, the managerial side was introduced, adding another element to the gameplay, and Career Mode appeared in 2011, letting you steer players from their debuts to retirement and managerial glory. FUT has come along as well since then, while the Journey was added in 2017, making FIFA an incredibly complex set of footballing games rather than a single title. FIFA Ultimate Team – More usually referred to as FUT, this game mode allows players to build a team of “galacticos” via collectable digital cards, which you'll probably need to purchase. These teams can then be pitted against other FUT players. Career Mode – Career mode allows you to play as either a manager or a player, as they make their way in the game of football. Managers can wheel and deal, adding or sacking players, and more than one player can take charge of team members at one time in cooperative mode. Pro Clubs – Another multiplayer mode, Pro Clubs features leagues of real-world players who get together on a regular basis to play for their teams, not unlike a Sunday League team. Kick Off – This mode allows you to play custom matches against CPU controlled teams or other human players (with as many as eight players in the game at one time). The Journey – Introduced for FIFA 17, the Journey lets you take control of Alex Hunter, an up-and-coming Premier League talent. Skill Games – A mode designed to introduce new players to core FIFA skills like dribbling, passing and shooting. It can be used in conjunction with the Practice Arena: a separate mode to learn the ropes before taking on actual players. Online Seasons – When you join an Online Season, you'll sign up for a series of matches against other players in your league, with the aim of winning coins and bonus packs along the way. Those aren't the only game modes (there are also tournaments like the Confederations Cup or the FIFA World Cup, co-operative seasons, online friendlies and more to explore), but they give a flavour of the variety of footballing challenges FIFA lets you try. Coins are another important element of the game for new players to get to know. They can be earned by winning competitions, but can also be purchased using real world cash, and are needed to add cards to your FUT squad, buy players via the transfer market, and enter some premium competitions. 400 coins are awarded for every FUT team win, so start practising those skills and join the fray. 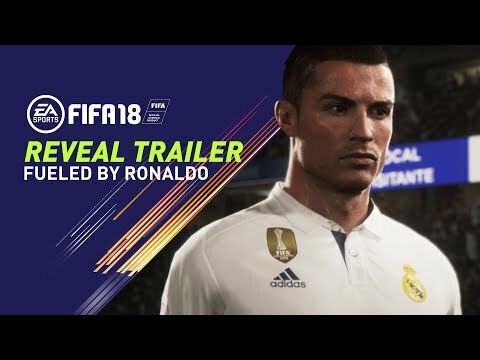 What Are the New Features of FIFA 18? Even if you've played every instalment in the FIFA series, you'll notice some new elements in EA's latest version. But are these radically new, or just examples of tinkering around the edges? A look at all of the new additions should provide some answers. New player animations – EA have gone back to the drawing board (or motion capture board) to rejig the game's player motion, adding extra ways to slam or dink the ball into the back of the net and more realistic heading as well. A wholly new technology called Real Player Motion makes superstars of the game move more fluently and realistically than ever. Improved crossing – Crossing has always been a hard element to work into football video games, but FIFA 18 does so better than most, thanks to an updated aiming mechanism, which lets you pinpoint your crosses to different parts of the penalty area. The addition of Team Styles – One thing long missing from FIFA games has been the style of different teams, and EA have tried to rectify that with 2018's version. Now, you can play against a Barcelona side playing authentic Tiki Taka, or a Jurgen Klopp-style gegenpress -- and see how your own tactics fare. More atmospheric venues – EA have paid a lot of attention to the venues in which FIFA games are played with this edition, adding little touches like realistic sun positions, more detail at pitch-side, and far more variation in the way pitches play. 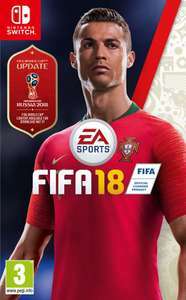 New version of The Journey – One of the best things about FIFA 2017 was “the Journey”, which let players take a rookie player through the youth ranks and his early career to star status. That's all back in FIFA 2018, as the narrative continues your player's career, while they seek to establish themselves in the Premiership. Along the way, you'll get to meet and compete with global legends like Messi and Ronaldo at the highest stage of the game. 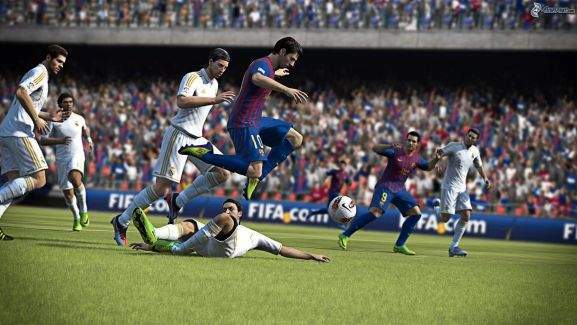 Ultimate Team – FIFA's hugely popular multiplayer option has had an overhaul as well although not a major one. More legends of the game (such as Maradona) have been added to the players available for transfer, via the Fut Icons range, and you can now rise up the rankings by taking part in individual “squad battles” as well. The Frostbite Engine – As with FIFA 2017, the new version uses Frostbite technology to deliver the in-game action, something which no other football title can match (although it's not present in the Nintendo Switch, the Xbox 360 or the PS3 versions). What Are People Saying About FIFA 18? 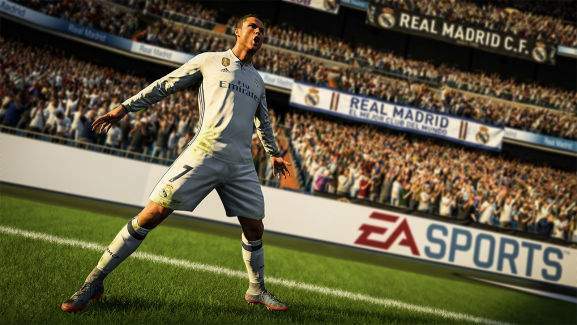 Since the FIFA 18 demo was unveiled in September 2017, the video gaming press has been digesting the changes and new additions, and they seem to be broadly positive about what EA have achieved with this year's title. Gamespot also praised FIFA 18, pointing to the improved AI, which made it easier to pick out team-mates with passes, and the faster speed compared with FIFA 17 as well as noting that the crossing system had been vastly improved. The Daily Telegraph were also positive, praising the atmosphere in particular as allowing players to get closer to the reality of stepping onto a Champions League pitch than ever before. They also noted that players felt more individual, with recognisable running and shooting styles. And Endgadget focused on the Journey, calling it “the franchise's best feature” and highlighting the immersive plot twists and different journeys Alex Hunter can take. There have been some qualifications, though. Most commentators still think that PES has crisper visuals and more all-round realism, while FIFA's Frostbite engine hasn't quite got up to speed. Turning is still a little slower than it should be, for instance. But the consensus is that FIFA 18 is better than its predecessor, and has general gameplay features that compensate for its slight shortcomings on the pitch – where it's still pretty strong. 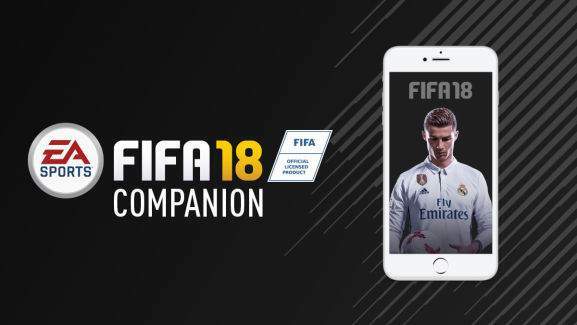 FIFA 18 will be coming out for the following platforms: Windows, PS4, Xbox One, Nintendo Switch, PS3, and the Xbox 360, so there's no version for handheld consoles, smartphones, or Mac OS. Not all of these versions will play the same, though. As we noted above, the Xbox 360, PS3, and Nintendo Switch versions don't have Frostbite technology weaved into the gameplay, which limits the smoothness and realism of their in-game graphics. EA have explained that they are releasing the game in what they call a “Gold” edition on older consoles, with graphical tweaks but no earth-shaking innovations. The Standard Edition – Easily the cheapest of the lot, the Standard FIFA 18 Edition comes with the game itself, either via disc or digital download, as well as a few extras to get players started. These include five Jumbo Premium Gold Packs for Ultimate Team which are sent once per week for the first five weeks as well as the loan of Cristiano Ronaldo for the first five FIFA Ultimate Team matches you play and eight special edition FUT kits which have been designed by musicians contributing to the game's soundtrack. It's available for the PC, PS4, and Xbox One, so Switch, PS3 and Xbox 360 owners will have to settle for their own edition, which we'll cover in a second. 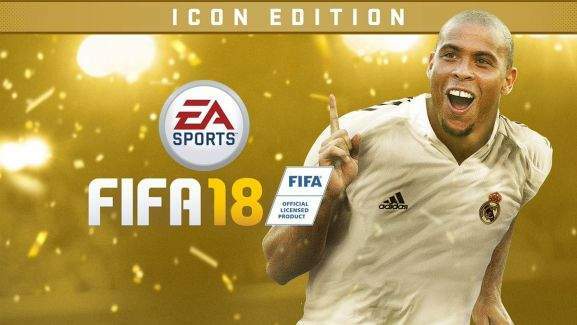 The Icon Edition – The most expensive of the three FIFA 18 Editions, the Icon Edition provides a great way to get started if you want to take control of a team of football legends. This time around, the game comes with a whopping 40 Ultimate Team Jumbo Premium Gold Packs, which will be sent through at a rate of two per week for a period of 20 weeks. Icon pack owners also get three loan players every week from the FUT Team of the Week, the loan of Cristiano Ronaldo for five FUT games, the services of Ronaldo Nazario (the first Ronaldo) for a further five matches and the same eight special edition FUT kits. The Ronaldo Edition – As the name hints, this is very much the edition to get if you are in any way a Cristiano Ronaldo fan. It's actually a mid-range package featuring 20 Ultimate Team Jumbo Gold Premium Packs, sent through once per week for 20 weeks, the loan of Cristiano Ronaldo for five FUT matches, and the eight special edition FUT kits. The Legacy Edition – This edition is solely aimed at PS3 and Xbox 360 owners, and provides a stripped down version of the game. It comes with five Ultimate Team Jumbo Premium Gold Packs (one a week for five weeks), and simply features squad and kit updates of previous FIFA titles to reflect how the real-world game has changes (i.e no major gameplay changes). 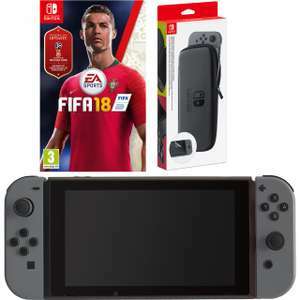 The Nintendo Switch Edition – The Switch is getting its own FIFA 18 Edition, where the gameplay will be optimised to make the most of the console's unique control system. You'll be able to take your games with you via the Joy-Con peripheral, and play all of the main game modes such as Ultimate Team, Career, Switch Kick Off, and Local Mode. The FIFA 18 app – If you're not in reach of your games console or your PC, you can also manage your club while on the go with the FUT Web app. This way, you can always keep an eye on the transfer market or earn rewards with the squad building challenges. Is it Worth Buying FIFA 18 If You Already Have FIFA 17? Some FIFA 2017 owners will be asking whether all of the fuss about FIFA 18 is warranted. After all, many people will have bought numerous FIFA games over the years, only to find that the actual differences are pretty slight. Will they be getting more than just new kits, a few animation changes and up-to-date squads if they buy this year's version? If you're a football fan, you'll definitely notice the differences. The atmosphere is much more immersive and realistic. The players move in ways that resemble actual players more accurately. Vital gameplay elements like crossing to strikers or picking out passes are easier and more intuitive. And there's also a new instalment in Alex Hunter's career to enjoy, which will be good news for FIFA 17 players who loved his early years in the game. FIFA 18 will also feature graphics that start to exploit the capabilities of consoles like the PS4 Pro and the Xbox One X. Expect 4K, ultra-high-definition visuals that are nothing like previous editions (or any football title you've played before). Then there are the little touches which make FIFA 18 seem more “human” than previous versions. Aside from the Journey, individual players have their own mannerisms which set them apart, and in Career Mode, you can take part in detailed transfer negotiations just like real Chairmen. It just makes the game feel more like a proper football simulation, and not an awkwardly adapted arcade game. However, it's not perfect, and the actual in-game experience is not light years away from FIFA 17. If you're playing on older systems, there will be zero gameplay differences, another thing that's worth remembering. But if you are looking for the most advanced football video game around, FIFA 18 is clearly head and shoulders above its predecessor. What about how FIFA 18 stacks up against PES 2018: its major competitor? Well, the truth is that both titles are accomplished, realistic, and highly playable football video games which are among the best of their type ever created. So either way, you'll be purchasing a high-quality game. But there are some important differences which reviewers have flagged up. The new FIFA engine makes FIFA 18 as fluid as PES for the first time, while the refined crossing system and better dribbling help to even up the gameplay mechanics as well -- up to a point. Complex passing is still easier on PES 18, but the FIFA 18 AI has improved so much that there's not much in it. In the past, PES has sported better graphics than the FIFA franchise, and gameplay can still look slightly better than in FIFA – but Frostbite has started to level things out here, too. The interface used to configure teams and games is also well in advanced of that used by PES, lending an extra air of reality and slickness to the FIFA package. And in FIFA, there's much more depth to the gameplay. You can play out a whizz-kid's rise to the top in the Journey and manage a side (more or less) while you play via Career Mode. FIFA Ultimate Team has a better multiplayer mode as well. What does this mean? Well, if you are just looking for a realistic, slick football simulation for games with friends, PES 2018 will do the trick. But if you want something more sophisticated, FIFA 18 has taken things up a notch. FIFA 18 varies in price considerably, from the relatively cheap Standard Edition to the Icon Edition, not to mention packs with added extras like FUT cards and Ronaldo loans bundled in. If all you want is to play the game with mates, the Standard Edition is the way to go. But if you already know the game well and want a head start at FUT or the other competitive modes, you may well go for the Ronaldo or Icon editions. If you do choose to take this route, there's no reason to pay full price for either version. Plenty of FIFA 18 deals are appearing from UK retailers, making it easy to save money on the year's biggest football title. To find the latest FIFA 18 deals, just head over to the FIFA 18 listings at HotUKDeals. You'll find offers for all three main editions from big retailers like Smyths, Tesco Direct, GAME, Very, Amazon, and ShopTo. So shop around and find a price that works for you. When you are shopping, remember that the added FUT cards aren't cheap when bought on their own, so you can save money when you get them in FIFA 18 bundles. Also remember to check for discount code deals and cashback, which can cut video game costs significantly. Another good strategy is to time your purchase well. All of the FIFA 18 editions will be available at steep discounts around Black Friday in November, when major merchants offer time-limited pre-Christmas offers. The January Sales should see some deals, while August's Amazon Prime Day is another great time to hunt for video games at bargain prices. But whatever you do, HotUKDeals aggregates the UK's biggest deals on a rolling basis, ensuring that gamers won't miss any savings. 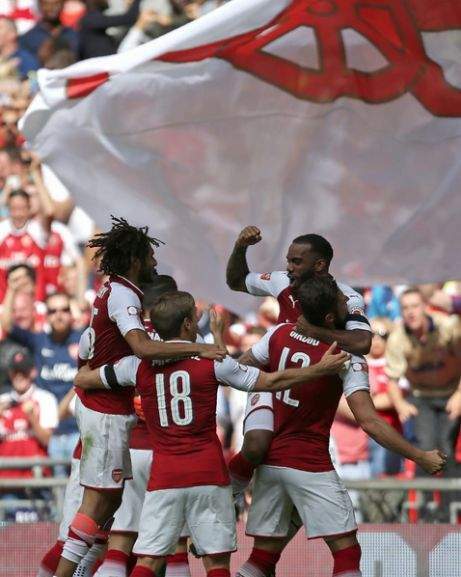 Have you ever wanted to live the life of a rising star in the Premier League? If so, FIFA 18 offers the chance to do so -- and a whole lot more. This is one of the year's biggest video game releases and one of the greatest football titles ever. Football fans can get their hands on the game at the lowest possible prices by purchasing FIFA 18 via the HotUKDeals listings.